During our certification for sale process, sipVine had the opportunity to conduct extensive user testing of several of the Polycom VVX models of VoIP phones. The VVX300 and VVX400 models are the base and mid-range phones in the line-up, and will prove to be easy to use and solid workhorses for the heavy phone users in small to medium-sized businesses. The VVX500 and VVX600 models are higher-end phones in the line-up and represent the cutting edge in VoIP phone technology. These phones are sharp looking, high tech, and are reflective of Polycom's leadership in the marketplace. 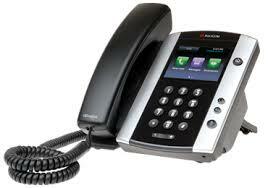 This series of Polycom phones will serve businesses well and take advantage of everything business VoIP has to offer. They come with all of the standard, hardware-driven features you would expect from a Polycom VoIP phone, such as: call forwarding, call transferring, three-way conferencing, do not disturb, directories, and voicemail. All phones come with Polycom's best-in-class speakerphone and HD voice clarity. Additionally, the stand for the Polycom VVX series will allow for 3 different angles. You can select a new angle with ease, a vast improvement over the stand of the previous Polycom models. 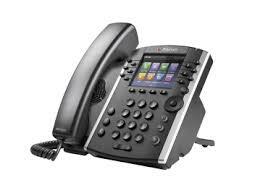 Compared to a Cisco SPA series model where you have only one angle, these Polycom VVX's are superior in this regard. Compared to the previous Polycom IP phone series, one upgrade is in the number of lines/favorites that appear on the screen. The lower end models in the IP series had two to three lines, versus the six to 12 lines with the VVX300 and 400 models. The VVX500 and 600 provide for 12 to 16 lines, respectively. If you provision two lines for inbound/outbound calling, you'll have four to 14 "favorites" that are effectively speed dials. If the favorite is in your organization and on the VoIP service, you can enable a busy lamp field (BLF), so you will know if that person is on the phone or not. The VVX400, 500, and 600 all have color screens, which adds to their elegance. The two higher-end models have touch screens, which resonate well with tablet and smart-phone users. Additionally, the higher-end models allow you to personalize the screen saver and background via a USB port or through the web configuration utility. The VVX300 and 400 models have dual 100mb ports, so your phone can share an ethernet connection with your computer. You can upgrade the lower models to a VVX310 and 410 to have dual gigabit ports so your phone will not be a bottleneck when passing large files over your network. The VVX500 and 600 come with standard, dual gigabit ports. Finally, the VVX600 model will allow for a Blue Tooth headset pairing. Of course, if you're not already familiar with the functionality of VoIP phones, then the features above will all seem pretty cool! 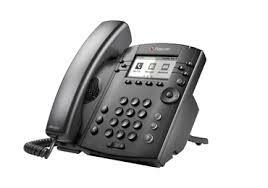 However, these new Polycom phones have functionality that will really delight even the experienced VoIP users! For example, with the USB port on the VVX500 and 600, you can attach a zip drive and record calls. The display will show you how many hours of recording you have available on the drive. All models allow you to integrate the phone with your computer's mouse and keyboard, allowing for a mouse over and click to dial from your favorites or directory. Additionally, these models will integrate with your Outlook Exchange calendars, providing you a view of your calendar from your phone, and dialing from the calendar for conference calls. Polycom also has a "My Info Portal", which allows access to stocks, news, sports, weather and other streamlined content to the phone's screen. Finally, both the VVX500 and VVX600 have optional cameras that will allow for Desktop Video Conferencing from phone to phone or interact with video conference bridges right from the phone. During our certification of the VVX models on the sipVine service, we reviewed all models and functions of the phones. The VVX500 and VVX600 truly are the "Cadillacs" of the series, both in terms of functionality and price. With the exception of standard gigabit ports, the touch screens, USB ports, and the video conference options, VVX400 has all of the same features as the VVX500 and VVX600. However, the VVX500 and VVX600 will retail 48% and 82% higher than the VVX400, respectively. The VVX300 has a grayscale screen and has even a greater price advantage. Focusing first on the differences between the high-end models and the standard models, the color touch screens in the higher-end models are very nice. It takes a little getting used to when compared with physical line buttons or softkeys on VoIP phones, but you'll catch on quickly. Smudges are not noticeable, and clean up with a soft cloth will keep the phone clean and free from scratches. Due to the cost of the phones, we didn't dare attempt to clean with a paper towel, so we cannot comment on the screen's ultimate durability! The phone screens can pick up a glare, so the angle options are not just nice, but a necessity. The other benefit over the lower models is the USB port, allowing for recording of calls right from the phone as well as personalized screen savers and background pictures. Where recording of calls may have a specific benefit to various organizations and users, the screen saver "benefit" is not a driver toward purchasing these upper-end models versus the standard models. That takes us to the video conferencing. First, the optional camera will add $135 to the purchase price. The screen sizes are adequate. Being able to call into a video conference bridge is a great advantage for those who interact that way routinely, as phone to phone video interaction is only beneficial to those who really see the need. It is only usable for personal video conference interaction, as a group huddling around the phone for the conference is not a viable option. There are some even higher-end VVX phone options with larger screens (VVX1500 and VVX1500D), but we did not review those phones. The VVX300 and VVX400 phones are easy to use and intuitive for the user who may be new to VoIP. Compared to the Cisco SPA models of phones, they have superior speakerphones and a larger number of Lines/BLFs on the phone itself, however, the Cisco models win the ease of use battle. The VVX300 has 6 lines, versus the 4 line Cisco SPA504. The VVX400 has 12 lines and a color screen, versus the 8 line, grayscale SPA508. Both the VVX300 and 400 models have hard buttons next to the line appearance/BLF that change color when in use. 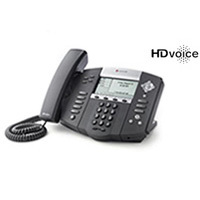 These present a similar user experience to other VoIP phones. We found it easier to transfer / dial utilizing the hard buttons versus the touch screens of the higher end models, likely due to our previous familiarity with physical buttons. The menu scroll/select button is slightly cumbersome, and the touch screens of the higher-end models are superior in the scrolling/selecting functionality. The backlit, grayscale screen of the VVX300 is clear and readable, but doesn't blow you away with clarity. The color screen of the VVX400 is much better than the grayscale. I will make one comment on a feature of all models tested. The integration of the computer keyboard and mouse with the phone is cool, but a little distracting. There are a few times during the day where I've scrolled over and clicked on a favorite to dial. The keyboard was nice when entering contacts into my directory, but, honestly, that was a one-time effort. Searching directory listings is aided by this functionality to some extent. All things considered, I found myself scrolling my mouse over to the phone on accident quite routinely during the day. You basically program the setting to indicate what side of the computer the phone resides, and it opens up that border of the screen to scroll to the phone. I didn't realize how often I scroll to the max end of the screen to exit from programs or scroll up and down until I no longer had a side border to stop my mouse. So, I will likely turn that option off. Suffice it to say, the higher-end models will likely be a luxury alternative for sipVine business VoIP customers in the small to medium-sized market space. Most will select the VVX300 and VVX400 phones for their general office deployment. Some executives may select the higher-end models, as they really are nice. I'm using the VVX500 now, and don't want to give it up! Overall, these models of phones by Polycom will become one of sipVine's lead products. Our previously lead product was the Cisco SPA500 series, which possesses many great features and flexibility. However, these Polycom models surpass the Cisco models in many ways, and we're looking forward to sharing these advantages with our current and future customers! 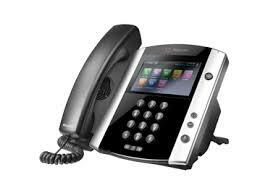 The Cisco SPA525G VoIP phone is the top end phone in the Cisco small business series. The series is commonly used by Hosted VoIP companies in their phone selections. Consistent with the entire line up of phones, the SPA525 model is very user friendly from both the system administrator and the end user standpoint. Being a top end phone, you would expect some nice additional features for the approximately $100 in additional cost. This phone has a very crisp color screen. You can upload a picture or company logo to the screen’s background for a nice personalized touch. The screen is larger than the other, monochrome backlit phones in the series. With the SPA525, you can connect a blue tooth headset to use as a wireless option. This is a more elegant approach for a cordless headset for these models of phones. The other phones in the line up only provide for a corded headset to work with the headset control on the phone. If you were to attach a cordless headset to the other phones, you have to loop it with the handset and apply a lifter to the phone. So, the blue tooth option is awesome with the SPA525. The SPA525 is also WiFi capable, thus a corded Ethernet connection is not necessary for this phone. Although the phone’s performance will be subject to the WiFi strength, potential interference, and access point capacity, it does offer a good alternative to Ethernet wiring to current unwired workstations. A very cool feature of the SPA525 is that it can record calls on-demand to a jump drive that can be plugged into the USB port on the phone. You can listen to the calls after recording or safe the files to your computer from the jump drive. The only reason why this isn’t a “great” feature is that it may be duplicative to the recording service many hosted VoIP providers already provide. However, if your hosted VoIP provider charges extra for recordings, this will allow you to take control of the recording yourself and eliminate the extra charge. This phone has 5 lines, which is an upgrade from the 4 line base model, SPA504, but less than the 8 line SPA508. In my mind, with the bigger screen, they could have easily made this a ten line phone. Some hosted providers can program the lines to be speed dials to other users and set it so you can see when they are currently on the phone. You only need two to three “lines” for Direct Dials or main line rings, so having more buttons available to speed dial or see the status of other associates. There is a definite premium for the top of the line phone. Generally speaking, these cost about $100 more than the base phone. If the dollars don’t seem too bad, the percentage of increase would – 83%! Ouch! 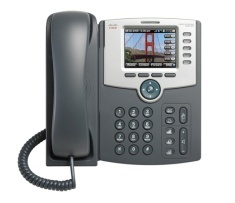 At sipVine, the majority of phones we utilize in our installations are the Cisco SPA500 series. Perhaps a sign of economic turnaround is that more companies have been willing to pay the premium for the nicer desk phones. When compared to the desk phones attached to popular on-site systems, they still are very affordable. 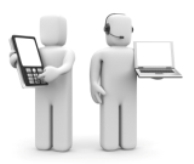 Phone technology in the business environment continues to improve as more companies shift to hosted VoIP services. Many companies have incorporated desk phone alternatives in their office environment, such as soft phones that operate on their computers. Check with your current or potential hosted VoIP provider to see if they support soft phone products. sipVine, as an example, supports the soft phone line up from Counterpath. Full featured soft phones range in price from $34 to $45, making it extremely economical to deploy in the office environments. One key is to have a quality headset to utilize in conjunction with these phones. Applications – Use of soft phones range from a full deployment among all associates to selected or complimentary assignment. Companies may select associates who work from home or travel frequently to have soft phones set up on their lap top computers. Similar to having an office desk phone at home, a benefit of the hosted VoIP phone systems is that these individuals will have the appearance of being on the in-house phone system, with the ability to include them in ring groups and to extension dial or transfer calls internally. Additionally, some employees may have soft phones set up as a compliment to their office desk phone. In these cases, the soft phone is set up to ring at the same time as the desk phone. Associates only turn the soft phone on when they are working remotely. Other Alternatives – Soft phones are also available for the Apple iPad or iPhone, allowing those devices to be utilized as an extension of the office phone. For the iPad, there are available headsets to allow for better ease of use. It is not recommended that these devices be utilized as a primary office phone, as they are dependent upon a solid WiFi or 3G/4G signal. We would not recommend use of this version of soft phone while driving or moving around. However, when traveling internationally, this is a great alternative to paying international minutes on your cell phone! Soft phones are just another example of how a hosted VoIP service can transform your business, making associates more efficient and accessible to your customers. 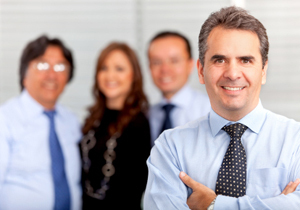 Contact a hosted VoIP provider today to learn more about the benefits of moving to a hosted phone system.